By J.R. Watson For many decades Gougeon Brothers Inc. has kept in contact with multihull designer James Wharram. 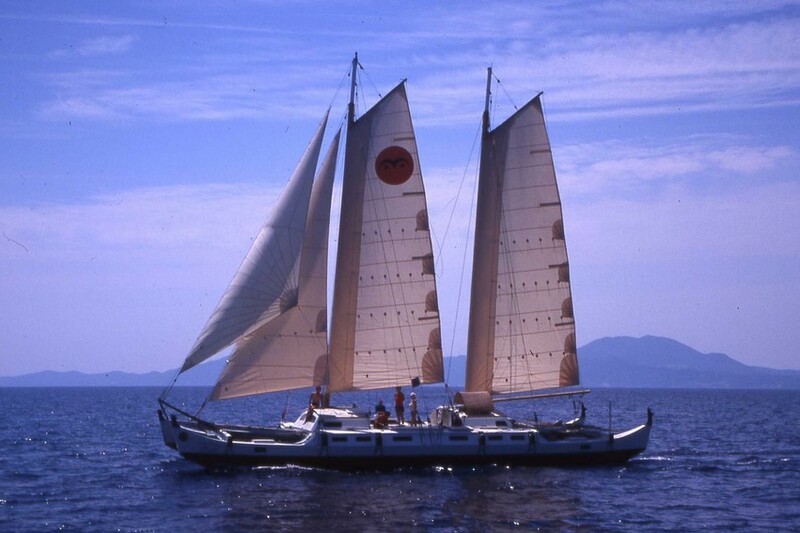 Wharram, of Cornwall, UK, has sailed and designed Polynesian-style catamarans for 50 years. 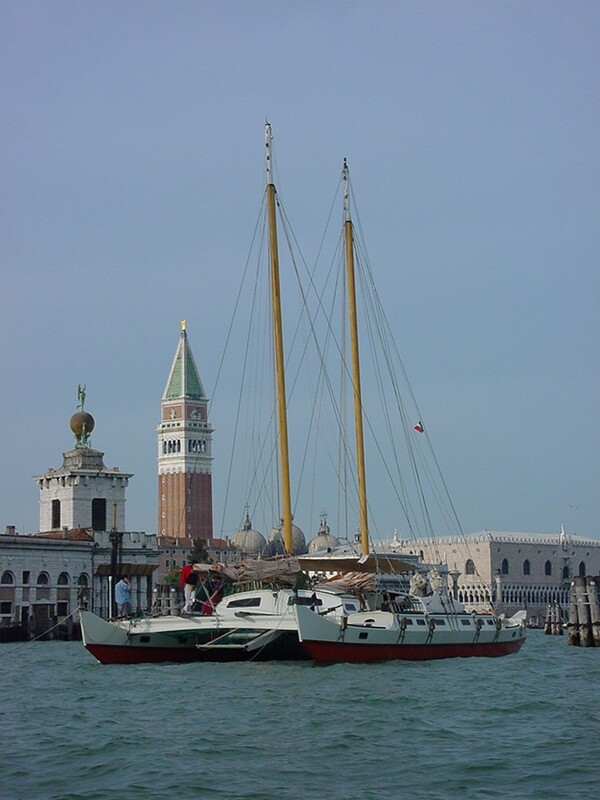 Amateurs and professionals have built his boats and sailed them to all corners of the planet. The designs he creates with his engineer and artist partner Hanneke Boon have evolved over the years, but remain unmistakably, Wharram Catamarans. 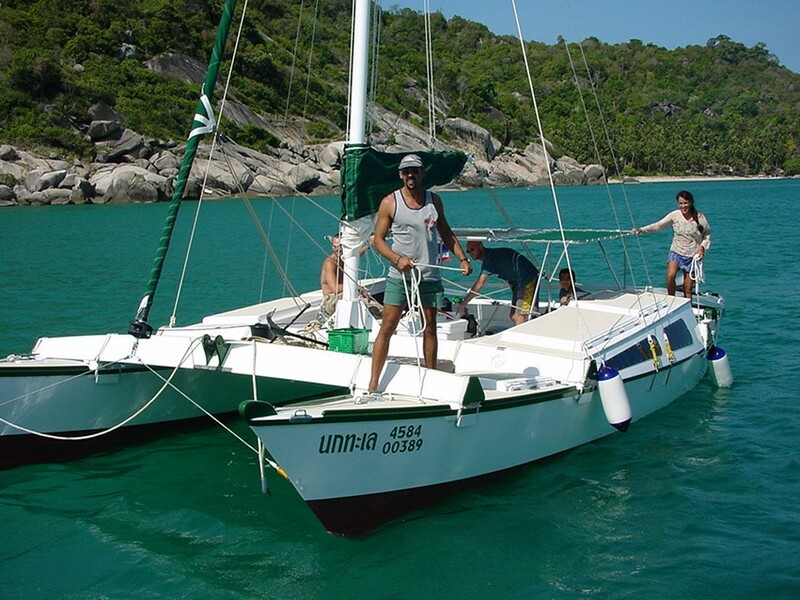 Wharram boats are sailing, sea-going, cruising catamarans ranging from small day boats to 60′ habitats. 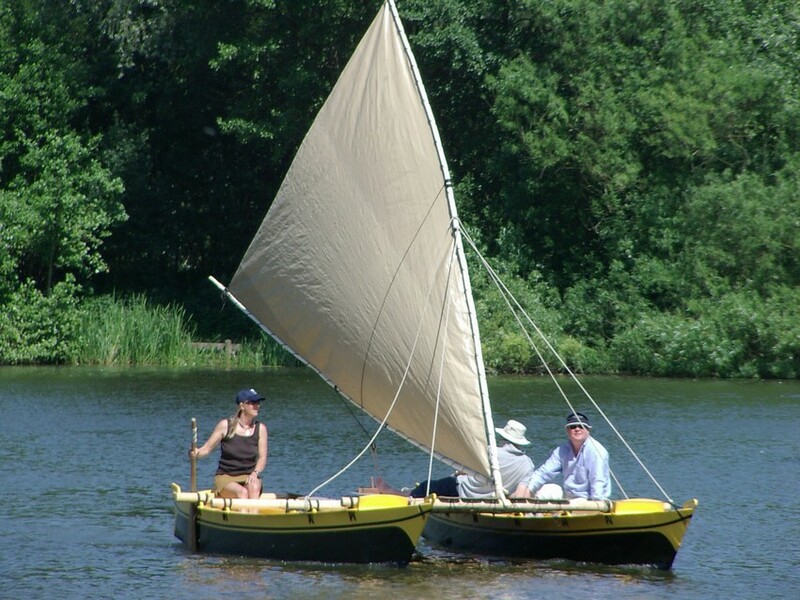 Many sailors have undertaken successful voyages in Wharram-designed boats. 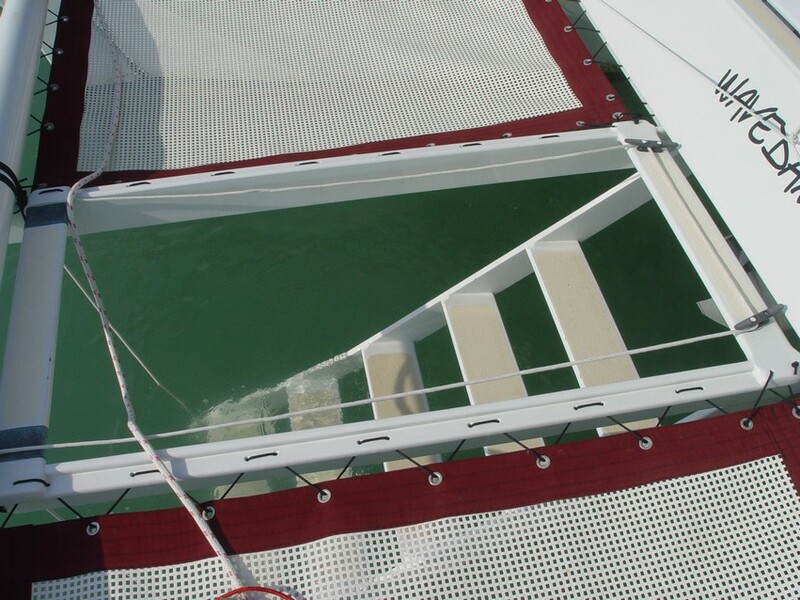 These particular Wharram catamarans have one thing in common, they were all built with WEST SYSTEM® Epoxy. 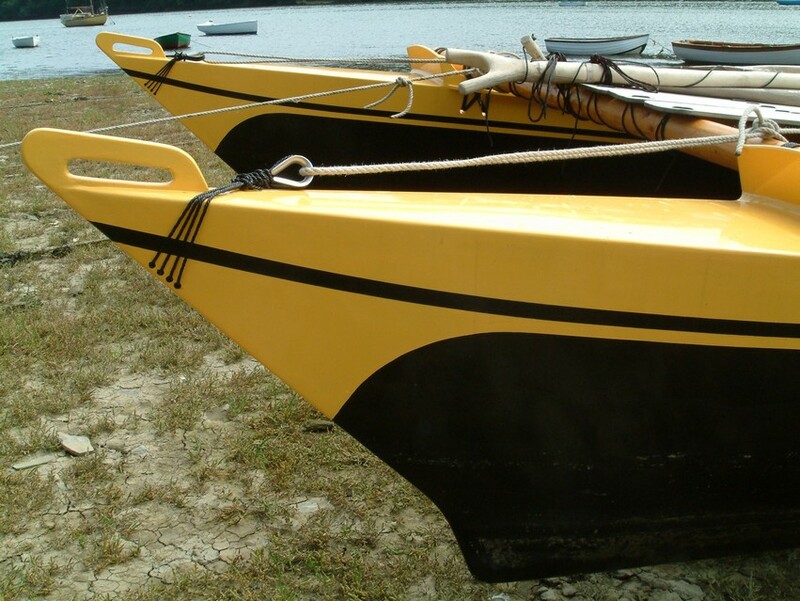 These boats are constructed of modern materials:plywood, epoxy and synthetic fibers. The drawings are simple, streamlined and clearly explained resulting in a high boat completion rate among buyers of Wharram plans. This is reassuring to the amateur builder undertaking the “unknown”of building such a craft. 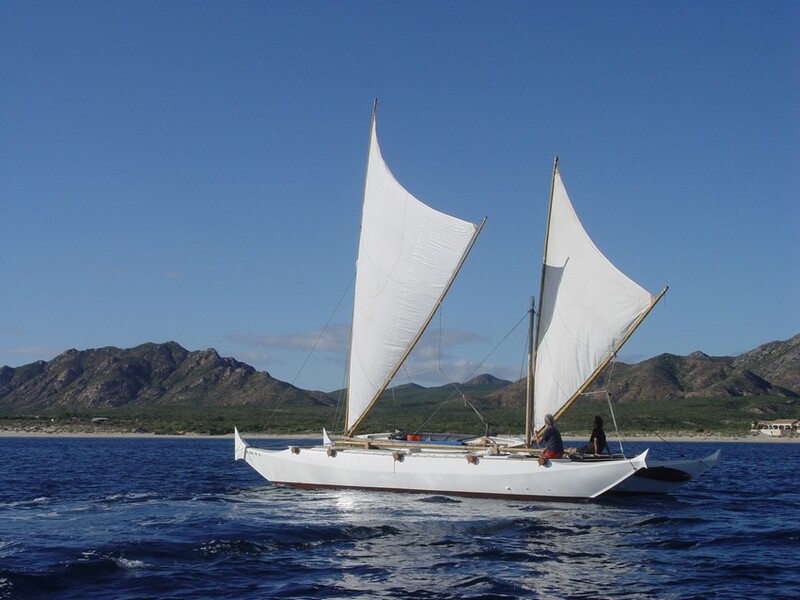 The V-shaped hulls typical of Wharram designs can carry a lot of extra weight without deteriorating sailing performance. The hull structure in most of the designs is a slightly stressed skin bonded with epoxy, fillets and fiberglass tape over a simple plywood/stringer framework. This results in a rigid structure. 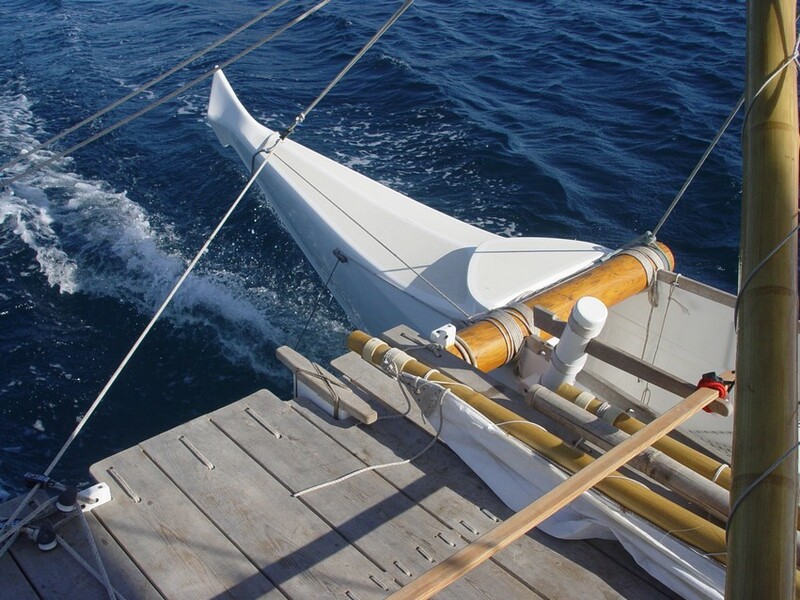 The hulls are joined to wood/epoxy structural beams via a flexible lashing system originally employed by the ancient seafarers of the Pacific, but with modern synthetic fibers proven reliable and seaworthy. 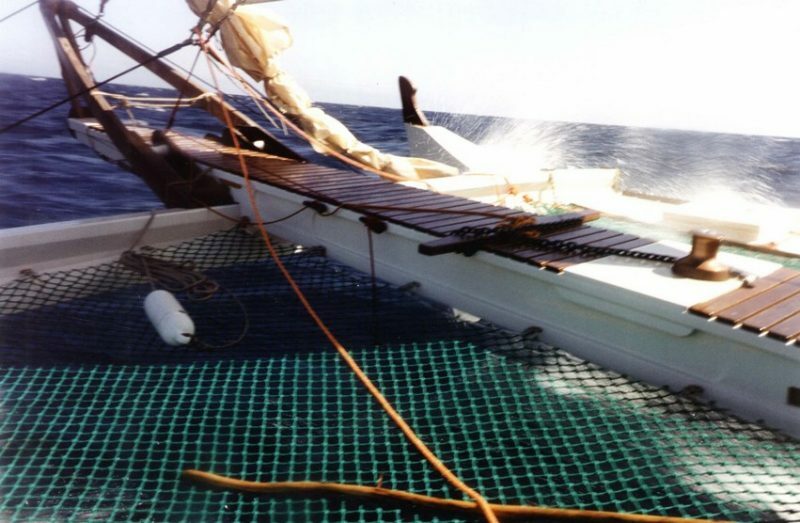 Absence of a deck cabin reduces windage and lowers center of gravity, thereby increasing stability and safety at sea.